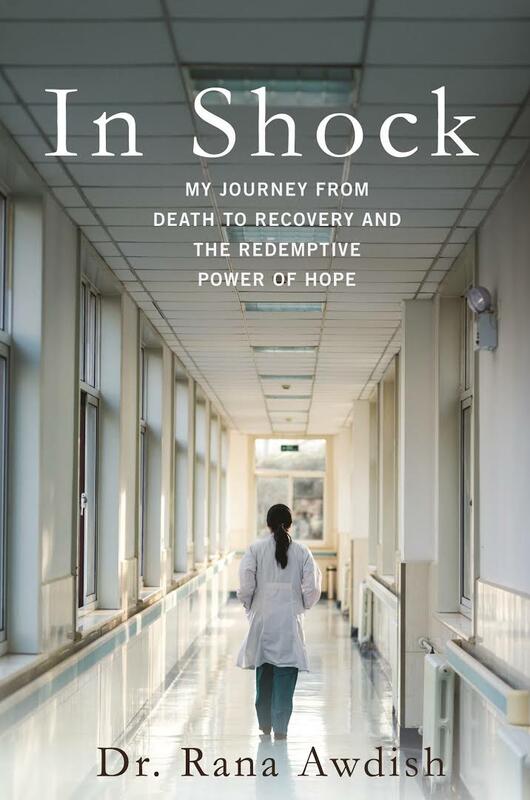 If I had to pick one book that I would recommend for all health professionals, it would be "In Shock" by Dr Rana Awdish, a critical care physician from the Henry Ford health system in Michigan. In 2008 Dr. Awdish nearly died when a tumor (adenoma) ruptured in her liver, leading to multisystem organ failure. She was pregnant at that time and her baby died. She almost died. Her recovery would take several years, include five major surgeries and multiple hospitalizations in intensive care. The illness, she writes, "took me apart, piece by piece, and put me back together in a conformation so different I questioned if I still existed at all." Reading her story is gut wrenching and, frankly, terrifying. As I read the book, I found myself rooting for her and her amazing husband Randy. I have never met her, although she visited McGill recently to speak to our medical students. Since we follow each other on Twitter (you can follow her at https://twitter.com/RanaAwdish) and have exchanged a few DMs, it was almost as if my friend or colleague was going through this harrowing experience, and I found myself holding my breath, anxious for Rana's recovery. This made it harder to read the book and, to be honest, I could not get much work done until I was done with the book! Towards the end of the book, I was thrilled to read about the birth of their son (a delightful young boy now, whose picture I saw on her Twitter feed). Her book is a tour de force in championing a shift in culture for helping health professionals talk more effectively with their patients, and for patients voices to have primacy within the health system. Her book is a must-read for all medical students, trainees, and even practicing physicians. I hope medical educators all over the world find a way to make her work integral to their training programs for health professionals. At the very least, all health professionals must read her recent piece in the New England Journal of Medicine: A View from the Edge - Creating a Culture of Caring. Earlier this year, I had acute, severe low back pain, while lifting weights in the gym. The pain was so bad that I passed out briefly and had to be taken to an emergency department in Montreal, in an ambulance. My wife was out of town, and I had no friends or relatives with me in the ER. Spending a day in the ER in severe pain, with no one around me, was not a great experience. While a doctor examined me and gave me oral pain meds, nobody in the ER came to ask me if I wanted water, whether I was hungry, or whether I needed to use the toilet. In fact, I had to ask a random passerby to get me some candy bars and juice from the vending machine, as I was hungry and feeling dizzy. Even going to the toilet down the corridor was an excruciatingly painful experience and I had no help. It was my first ER experience in Canada, and maybe I just did not know how to ask for help. 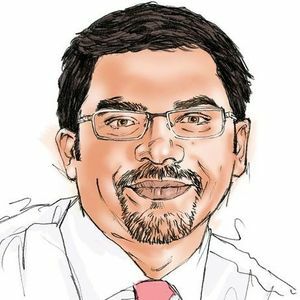 When I was asked to go home in the evening (on pain meds), nobody told me when I should come back for follow-up and what I should do, if pain persisted in the coming weeks. I had no diagnosis, since no scan was done. My biggest fear was: did I rupture my lumbar disc? Will I end up with long-term back pain and need surgery in future? I had no answers. More than a month later, I got myself an MRI while visiting India for my tuberculosis research. There, in Delhi, I got the bad news - I had a prolapsed L5-S1 lumbar disc! This knowledge was empowering and I am now doing rehab, physio and core training. While my experience is nothing compared to what Rana endured, I totally get her point about how unnerving the medical system is from a patient's perspective and why we need to get better at making the system more patient-centric and caring. All health professions will be patients, some day or another. Suffering and death is inevitable, and "all healing is transient." "Our greatest gift is our ability to be absolutely present with suffering," Rana writes in her book. And how to be present with suffering and how to communicate with empathy are issues that I never learnt during my medical training! Thank you, Rana, for sharing your incredible, inspiring and hopeful story. I hope to meet you someday and thank you for your incredible contribution to the field of medicine.